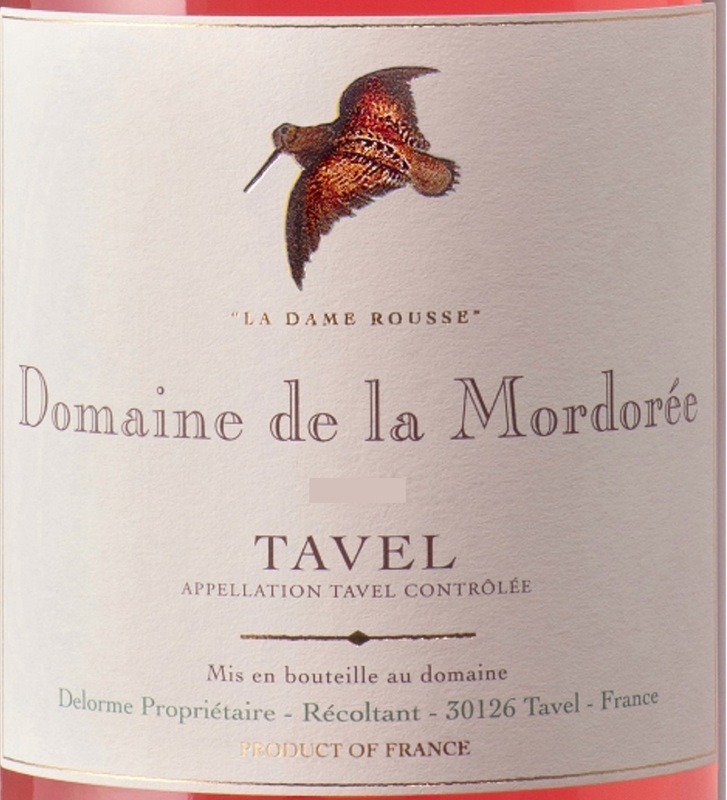 Mordoree Tavel Rose Les Vestides is made from 60% Grenache, 30% Cinsault and 10% Syrah. This wine is very similar in style to the Dame Rousse Cuvée. The main difference is that it is made from grapes not certified organic yet. The parcel is currently being converted to Organic after Domaine de la Mordorée acquired it in 2013. It will take 3 years total to become certified organic and it might be integrated in the Dame Rousse in the future. The second difference is that the soil type is slightly different. In the Dame Rousse, the soils is composed of Quartz round pebbles on the Villafranchienne terrace of Vallongue. For the Vestides, the soils is made of flat limestome rocks, originating from the Berremien crumbled hill-stones. Steady pink, brilliant and limpid color. Very complex nose with flowers, red and white fruits aromas. Round, full bodied with a long lasting aniseed and fruity finish. Food pairing: cold meat and delicatessen, poultry, white meats, grilled meats, fried fish, fish soup, pastas, pizzas and all Asian cuisine. The vineyard consists of 55 hectares (135 acres), on 38 different parcels, which provide with a rich, wide range of soils and climates. The soil is a mix of clay, chalk and sand with pebble stones. The improvements at the Domaine have been incredible: new pneumatic presses, new stainless steel vats, new destemmer, new vinification and aging plant, and aging in oak barrels for the top wines. All the grapes are raised by culture raisonnée which is very close to organic viticulture (intervention in the vineyard only when necessary). The yield is reduced in the vineyard by ébourgeonnage (de budding in spring) and vendanges vertes in summer (green harvesting). Oak aging for the top wines in special barrels like “jupille” for 10 months. No expense is spared at this Domaine to achieve quality.